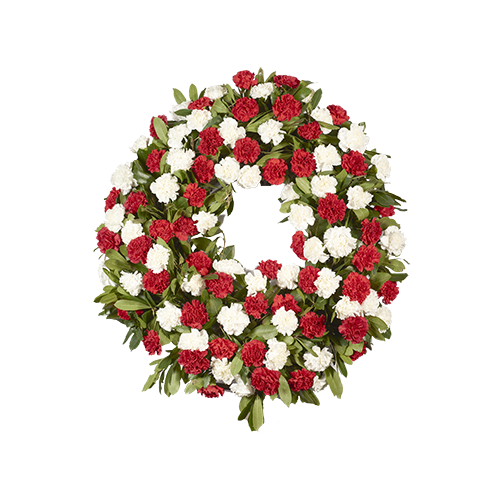 A wreath of 90-95 red and white carnations to honour someone truly special. The wreath can arrive at the funeral, and you can add a personalised touch. Size: 100cm in diameter.